Hello! I cannot believe that July is over! July is a pretty big month for us. My younger girl celebrated her 5th birthday, and my husband and I celebrated our 11th wedding anniversary this month. Here we are at the end of another month…these are a few things I have been loving in the month of July! 1. Simon Says Stamp Wide Stripes background stamp & Simon Says Stamp 6×6 tiny spaced hearts stencil. I have been all about the background lately! 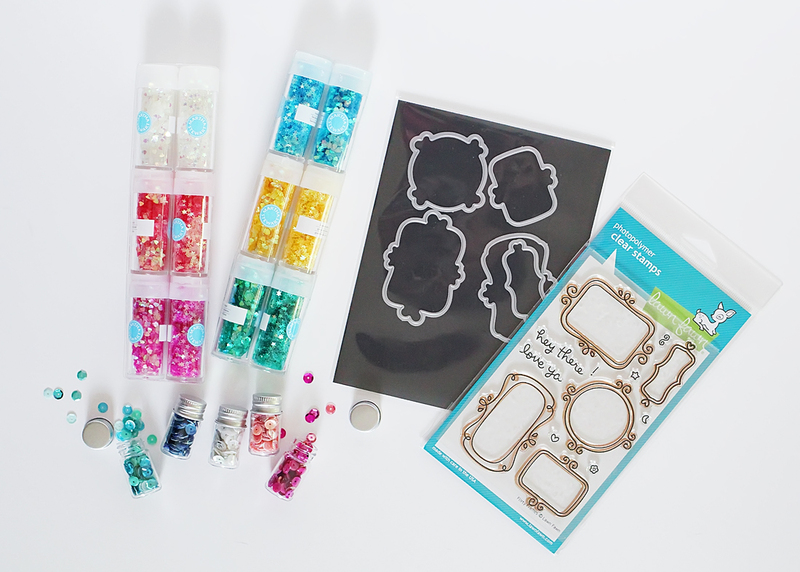 I included a piece of card stock where I used the stripes background stamp, and I also added ombre hearts using the stencil on top to give you a visual of how these products look in action. 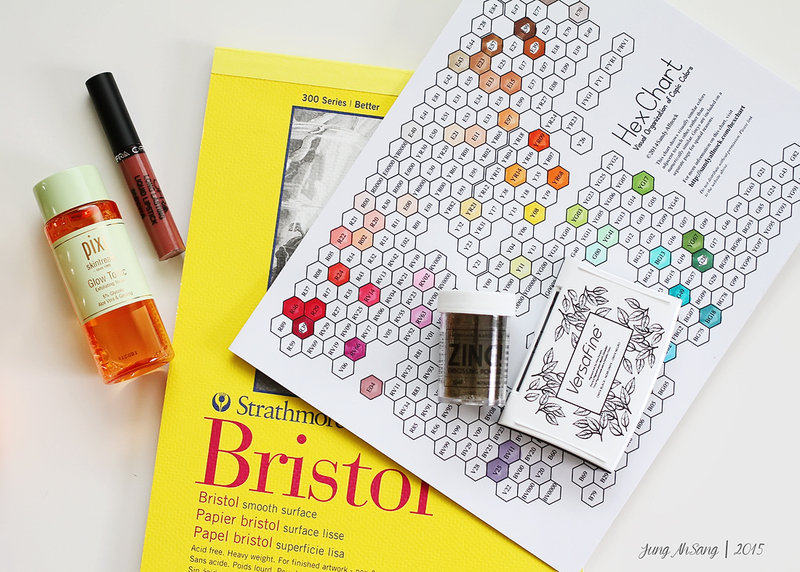 2. Who knew that the Absorber is absolutely awesome at cleaning your stamps?! I first saw Kristina Werner using it to clean her stamps. I have used this product for many years to dry my car after a wash, but I bought a brand new one just for my stamps! I cut it into about 9×9 inch squares, got it wet & rung out the excess water, and stuck them in a plastic storage container. 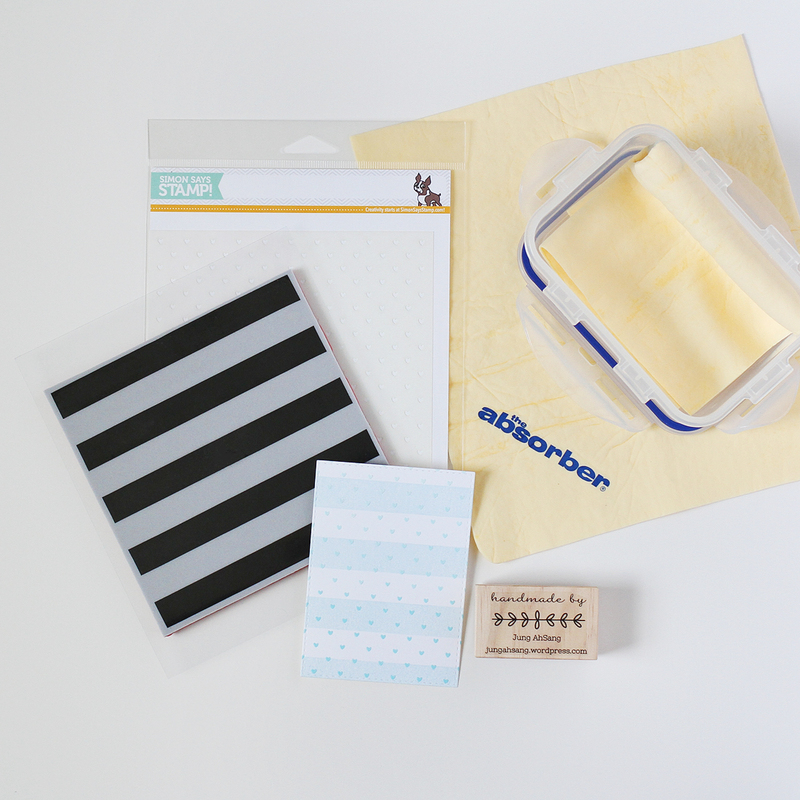 You can get the absorber in the automotive section at the grocery store or on simonsaysstamp.com. 3. I love my custom “handmade by” stamp from etsy shop Stamp Couture. It’s so nice to stamp the back of my cards! 1. 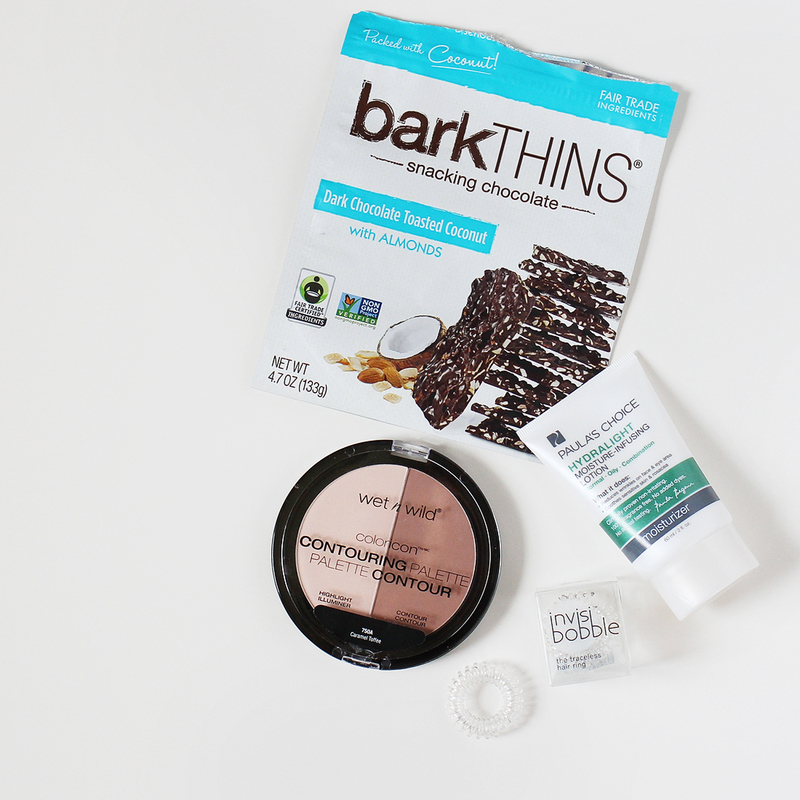 BarkTHINS dark chocolate touted coconut with almonds…so YUM! It’s sad to say, but this is my 3rd bag already, and I’m sad that I’m out! Since it’s dark chocolate, it’s not too sweet, and the toasted coconuts add just the right somethin’ somethin’. 2. Paula’s Choice Hydralight Moisture-Infusing Lotion. It’s fragrance & dye free! I have used this lotion for over a year now, and it’s a great light-weight moisturizer perfect for Texas summers! I had ran out of this lotion, but I didn’t feel like ordering it and waiting for shipping, so I tried a few samples of a couple of light-weight moisturizers at Sephora. I should have known better, because I didn’t like the texture, or they were super pricey, and I broke out. I have super sensitive skin, and my skin is oily in the summer, so I like for my moisturizer to sink in immediately, and I prefer fragrance free products. I had to go back and order my tried and true favorite at Paula’s choice. I believe you can only get Paula’s Choice on their website, paulaschoice.com. 3. Wet n Wild Contouring palette in Caramel Toffee. I believe this palette is exclusive to Wal-Mart. I have been loving this palette and use it for a variety of things. I use the highlight color to set my under eye concealer, I use the contour color to contour my cheeks and a little on my nose. I also use this palette as eyeshadows. The highlight color is perfect for an all over lid color, and the contour color is great to add a little definition. This was a super affordable (under $5), great buy! 4. Invisibobble traceless hair ring. This is supposed to be a hair-tyer. It reminds me of those wrist chains or the phone cords (trying not to date myself here, lol!). 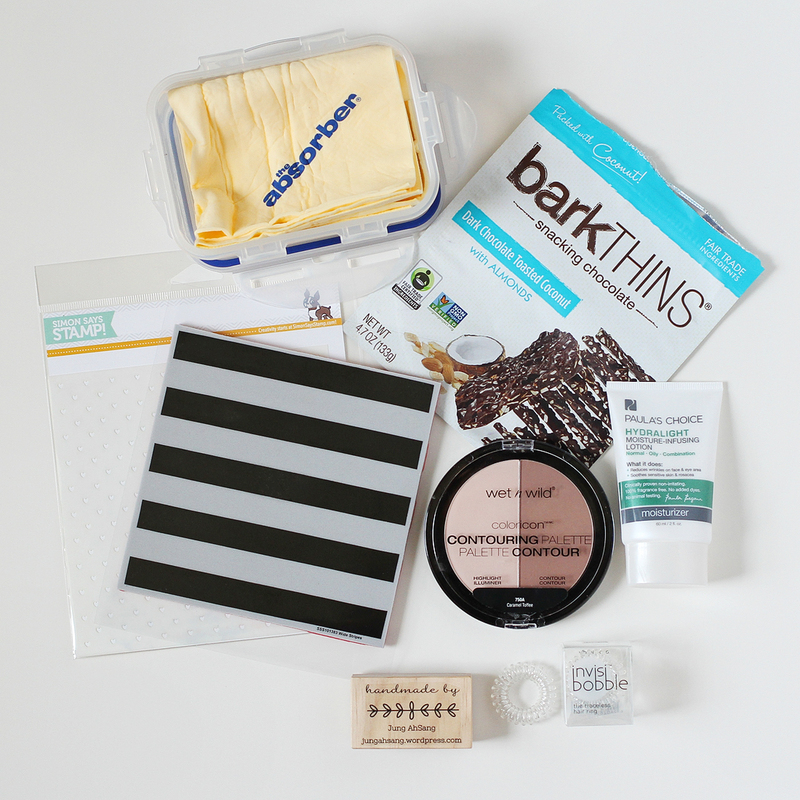 I received this in a sample beauty box, and I was highly skeptical…but it works! The plastic rings kind of grip your hair, and it stayed in place! Normally, I have to re-tie my pony a few times a day, but not with this! That’s it! 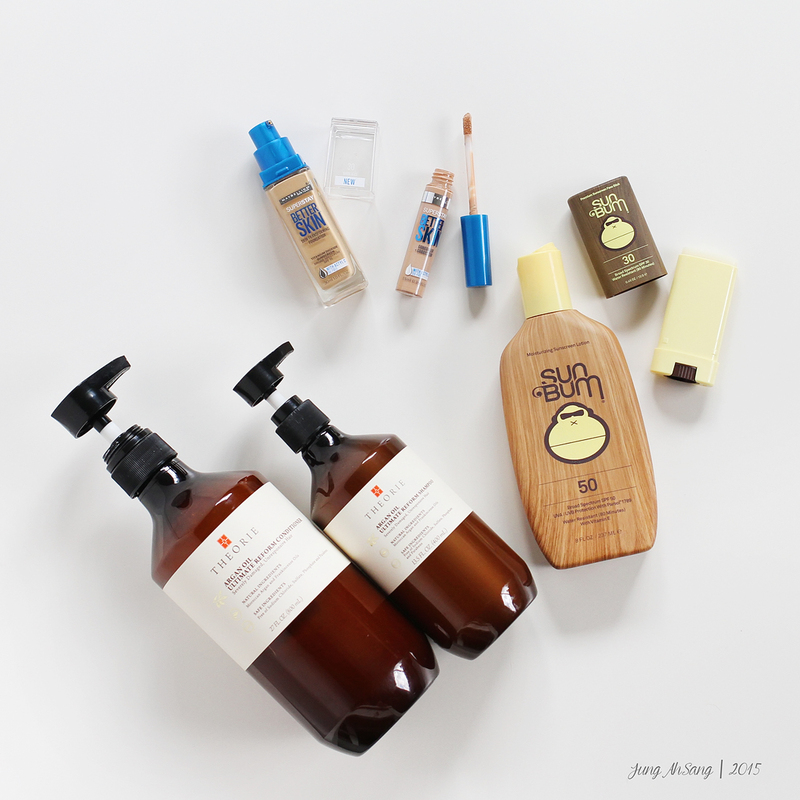 These are just a few things I’ve been loving in July. I’d love to know what you’ve been loving! It’s April already!!! April is a very busy month for us (2 of the 4 of us have birthdays this month). I had a lot of favorites in March, and quite a few pricey favorites. Since my birthday’s in March, I got gifts and gift cards, so this month’s favorites is a good one! Also, I have become super obsessed with card making in March, as evident in my last few posts. 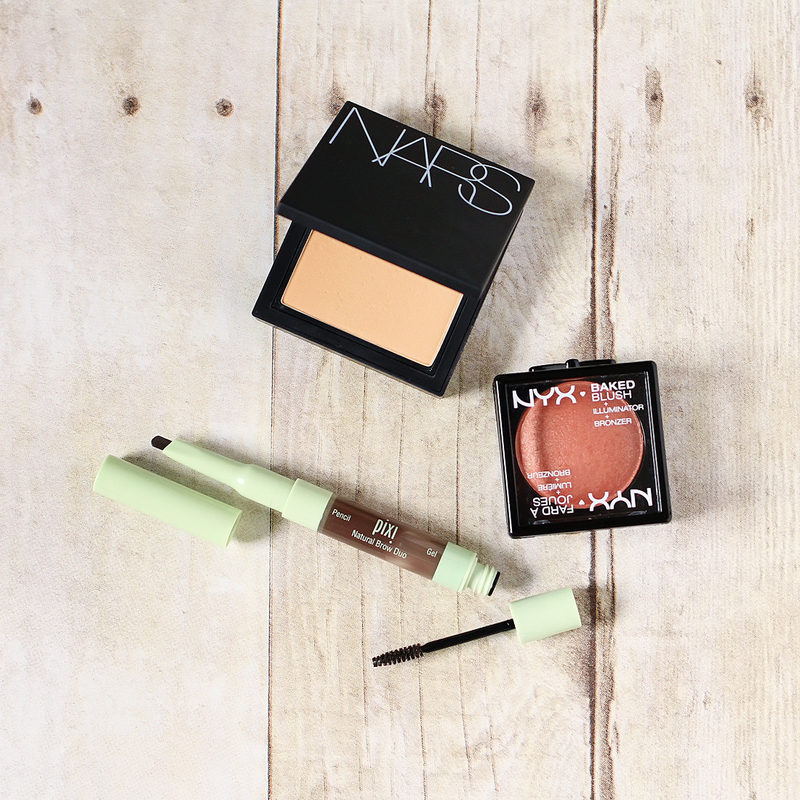 First up, make up favorites! 1. NARS all day luminous powder foundation (my color is medium 1 punjab): I wanted to try a powder foundation, because it’s already getting hot in Texas, and I didn’t want anything heavy on my face. My sister got me a sephora gift card for my birthday, so I went to sephora and requested a powder foundation that would give me some coverage, but isn’t too flat-looking. A really nice girl made some suggestions, and tried a few on my face. We ended up picking this foundation. Of course when I got to the counter to pay, my heart stopped (sticker shock!!! ), but I figured if I’m going to splurge, it might as well be when I have a gift card. Let me just say…I love this foundation! Since it’s a powder, it’s quick and easy. I just use a dense brush and swirl it on my face! Done! It provides me with some coverage, still gives a natural look, and it lasts pretty good! Best powder I’ve tried by far. 2. NYX baked blush in 08 Ignite: Love this blush! Love the peachy bronzy color, love the “illuminator” factor in the blush so I don’t even need a highlighter, and it lasts well on my skin. (I heard it was a dupe for MAC’s warm soul, although I can’t really say since I don’t own or haven’t tried warm soul.) I picked mine up at CVS with a birthday coupon, but you can also find it at ulta and target. 3. PIXI Natural brow duo (my color is deep brunette): If you know me, then you know I love my brow products. I don’t go anywhere without brows on! I picked this up at target on a whim because I have been loving pixie products (I talked about their balm in my Jan favorites, and I like their eyeliners as well). As the name suggests, this is a dual ended product. On one side is a brow pencil, and on the other is a brow gel. At first, I didn’t think I was going to like the brow pencil. The tip was bigger than I like (shaped in a triangle), and it was softer than I like in a pencil. However, as I kept trying it out, something about this pencil made me grab it every morning, instead of my other brow products. Since the tip is bigger, it covers more area, which makes application faster. 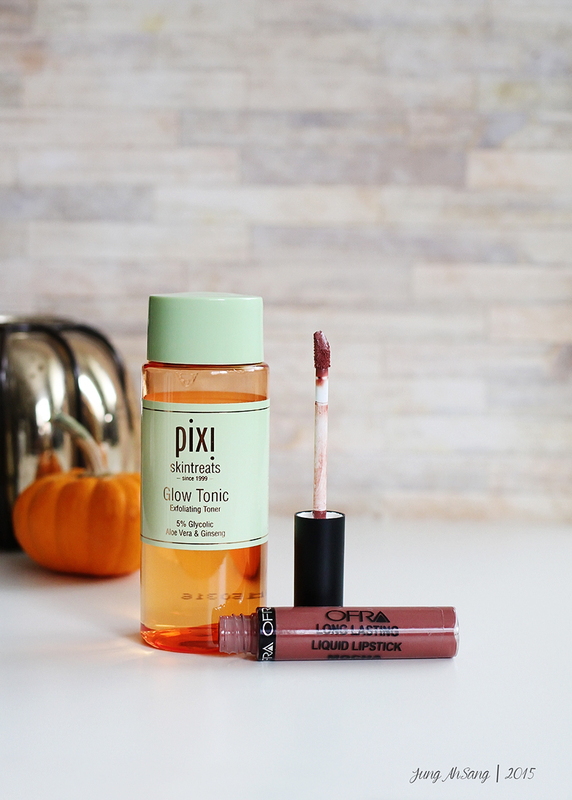 The color match is spot on for me, and not too warm or red, as with other products I’ve tried. Even though the gel looks tinted, it’s pretty much a clear gel. It just adds a little more depth to the little hair that I have, and it holds my brow hair in place all day. Win win. 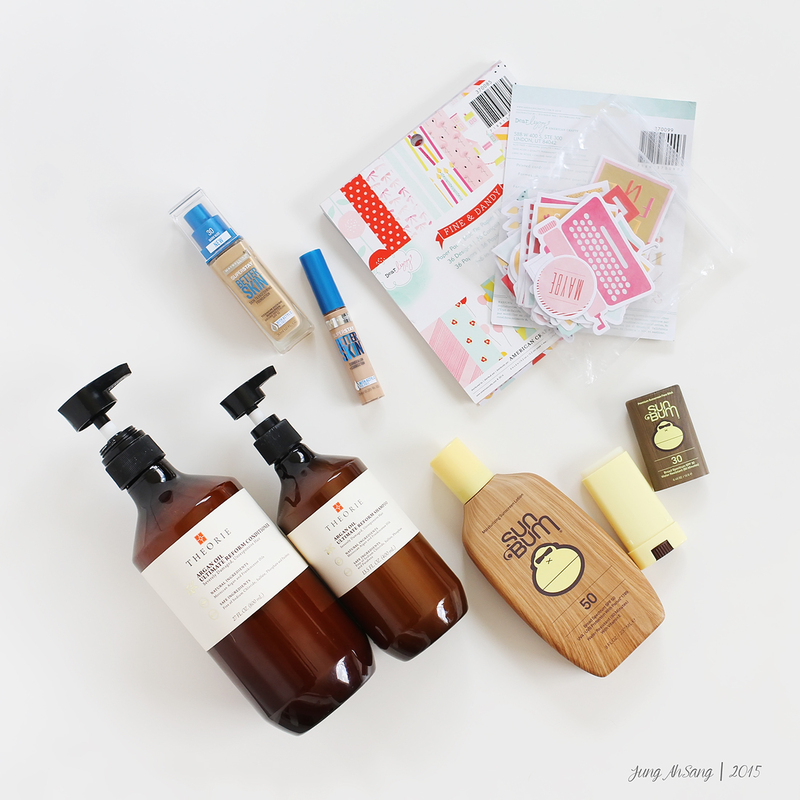 Now on the my crafty favorites! 1. 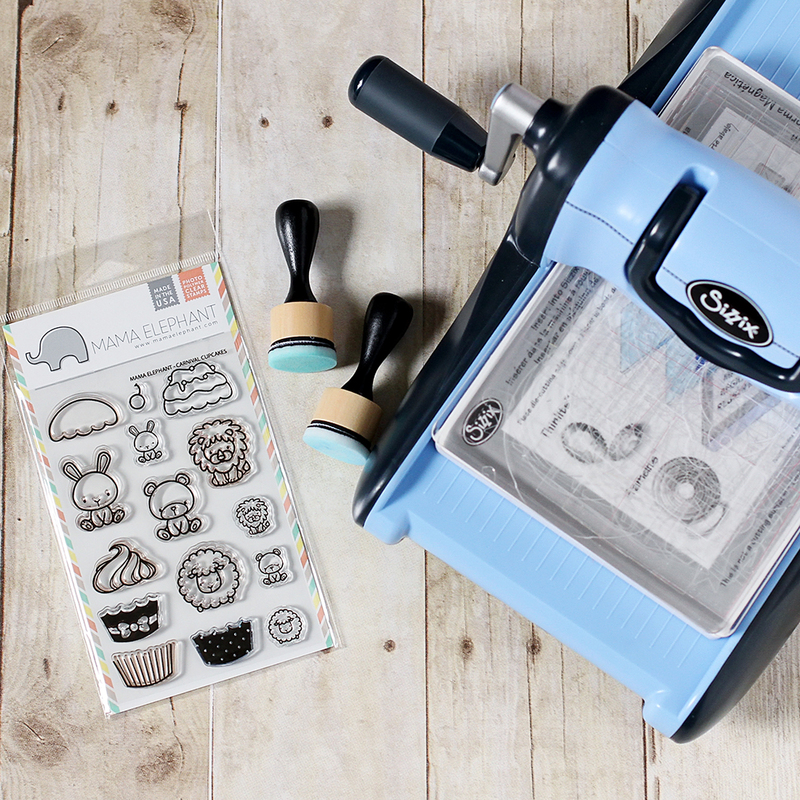 Mama Elephant carnival cupcakes stamp set: If you saw my previous post, you probably figured that this would be in my favorites. 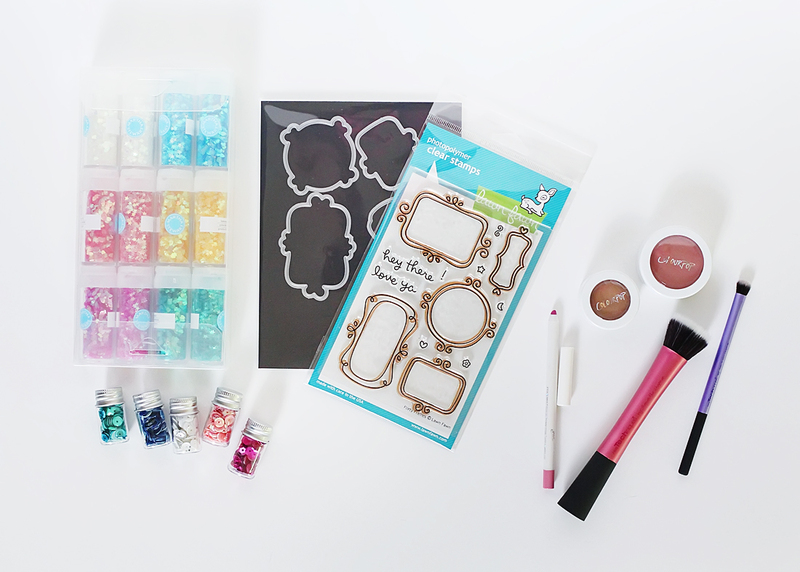 This stamp set is so cute, and pretty versatile. You can use the cupcakes separately, you can use the little critters separately, or you can combine both animal and cupcakes. You can check out a few cards I made in my previous post here: https://jungahsang.wordpress.com/2015/03/29/cards-featuring-mama-elephant-carnival-cupcakes-stamps/ . You can get this stamp set here: http://mamaelephant.com/collections/animals/products/carnival-cupcakes or at simonsaysstamp.com. 2. 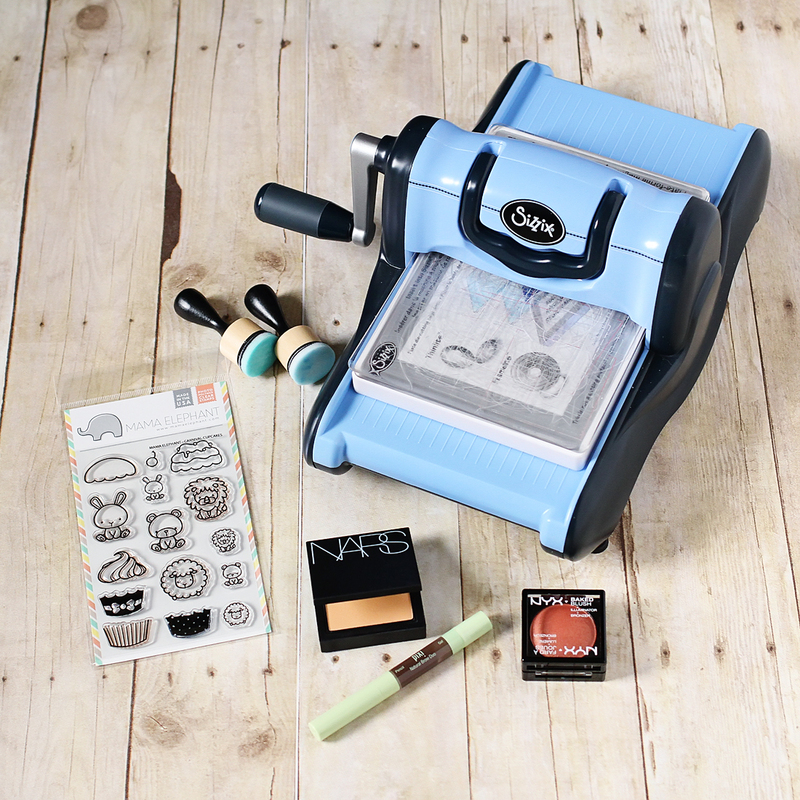 Sizzix die cutting machine: I have been wanting a die cutting machine for a long long time! 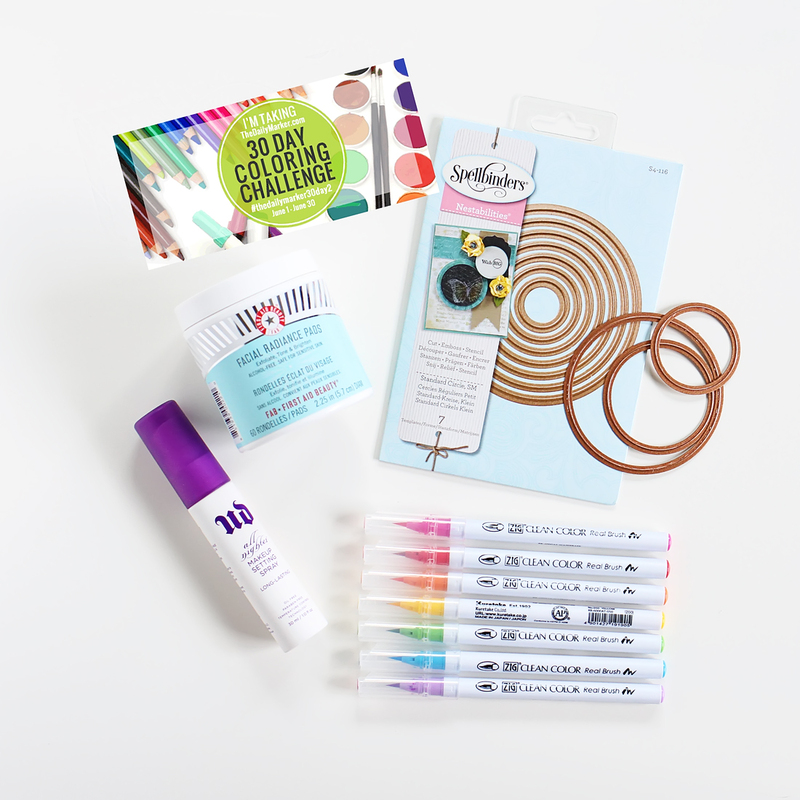 When hubbie told me I could pick out anything for my birthday, I had no hesitations in picking out the sizzix and a magnetic platform. As evident on my cutting pads, my sizzix is well loved already. I got mine at hobby lobby. 3. 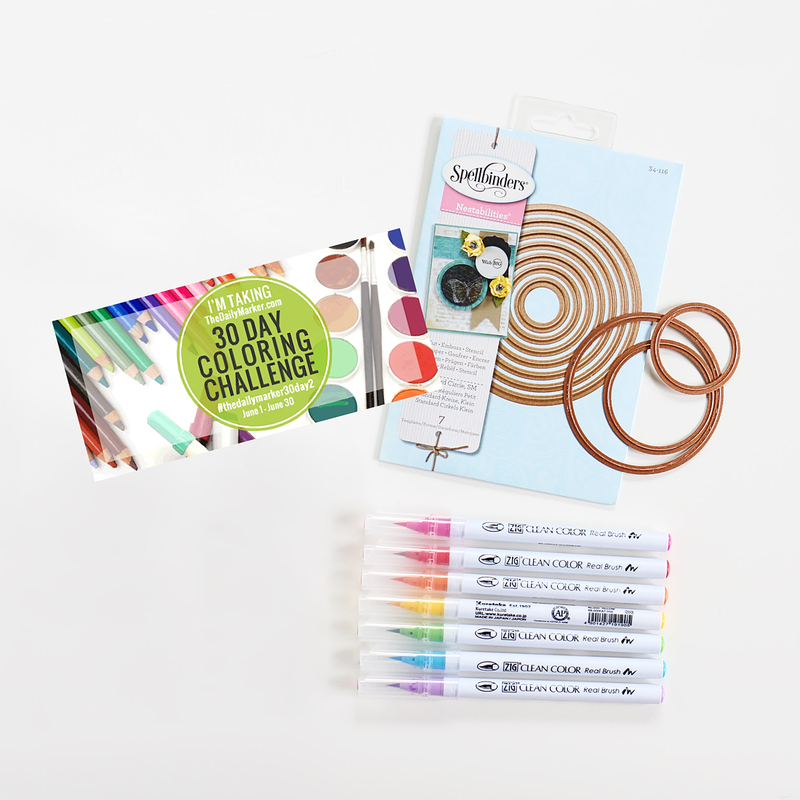 Tim Holtz ink blending tools: I had the older rectangle version of this tool, and I have to say that the newer round version works much better in reducing harsh lines. I also love that it comes in a 2 pack. 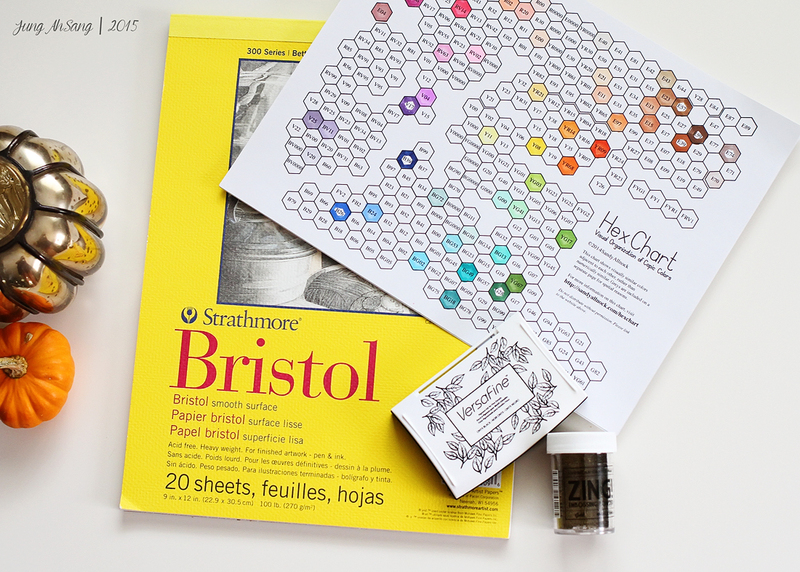 Love this tool, along with Tim Holtz distress inks for colorful backgrounds. I picked mine up at JoAnn’s. There you have it! 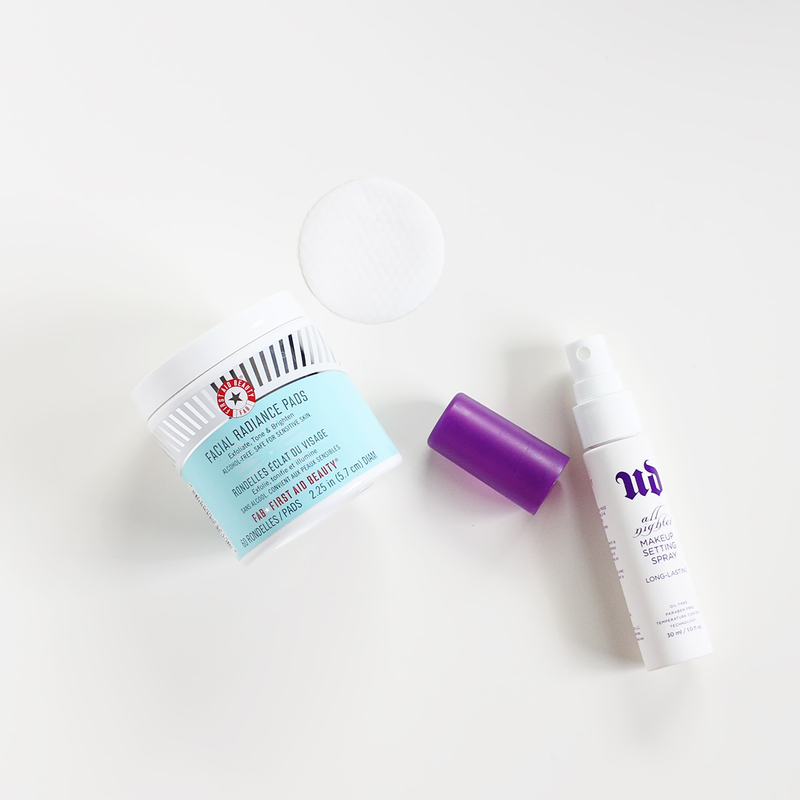 My most loved beauty and crafty products in March. Let me know if you have any questions, and what you’ve been loving lately!